The Old Exe Bridge at Exeter © Copyright Bill Boaden and licensed for reuse under this Creative Commons Licence. In March our rivers and streams are often in spate, swollen by winter rainfall, aquifers filled to capacity or meltwater from the mountains, so it’s the perfect time to reflect on some of the historic bridges that span Britain’s natural waterways. From the packhorse bridge’s low parapets designed to accommodate the groaning panniers of ponies en passage, to the pointed cutwaters protecting the piers of medieval bridges, the imperative to connect one bank to another has inspired centuries of development, engineering and even a dash of the evangelical. Indeed, the architecture that tied two banks of a river was second only to the buildings that promised man passage over the ultimate threshold; the medieval period was the golden age of both church and bridge building. The correlation of passage to another kind of ‘other side’ wasn’t lost on the medieval church and a few bridge chapels still remain – at St Ives, Cambs.,Wakefield, Rotherham and Bradford-on-Avon (though re-purposed as a town gaol) – all of which underline the spiritual importance of stone bridges in the landscape. In Durham, bridge building was the direct responsibility of the bishop but it was only one of many medieval cities where bridges had a connection with the cathedral. Like churches, the high status of bridges ensured that they were periodically improved and occasionally re-built for the needs of the day; just as cathedrals are rarely the work of a single architectural period, it’s not uncommon to find bridges exhibiting building styles that span hundreds of years, all of which can make dating them difficult. Fortunately, a few reliable indicators to age such as the shape of the arches and the presence of ribbed vaults will help you sort out original or, at least, faithfully restored features from later modifications. 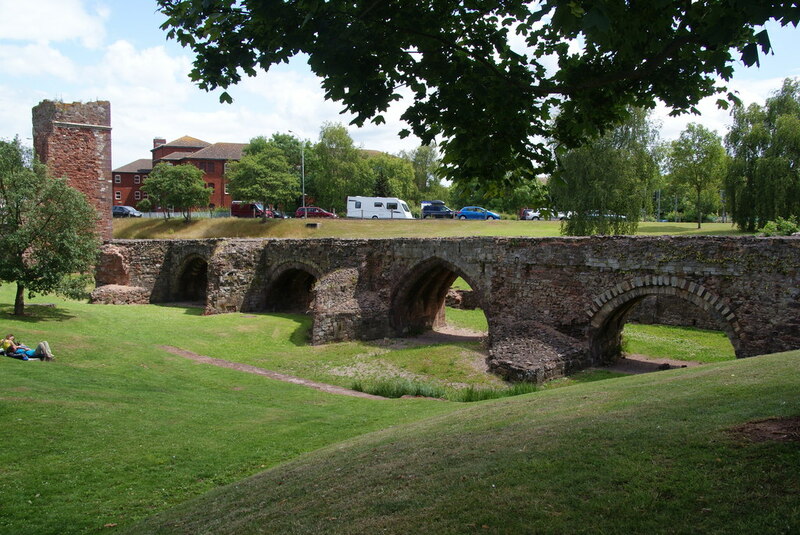 At Exeter, the disused and now incomplete 13th century Exe Bridge has latterly been run aground and stranded on a traffic island, but at least you don’t have to get your feet wet to admire its fabulous ribbed arches alternating between Norman-inspired semicircular and the pointed arches which were the invention of Early English church builders. By the 1500s, the segmental arch – round but less than semicircular – enabled longer spans, useful in upland locations where flood waters could sweep away a bridge with too many piers. Two of the three spans of the Devil’s Bridge, Kirkby Lonsdale, Cumbria are in excess of 16 metres, while Twizel Bridge in Northumberland has a single span of approximately 30 metres. We may take them for granted, but medieval bridges reveal our history; engineering feats first pulled off high above the mumble of prayers have found a way of helping us all over troubled waters.